Ask Dr. T: Is My Tight Thoracic Spine Killing my Overhead Squat? I have a desk job with a long commute. I know I do not have great posture, but I love working out and being active. Recently, I have started to experience significant shoulder pain when I am overhead squatting. When I am standing with weight overhead there is no pain. It is usually on the descent when things start to get crazy. I can feel my shoulders internally rotate and that is when the pain kicks in. I have done a ton of banded stretching, but I cannot seem to get my upper back to loosen up. I think my poor posture throughout the day makes it tough, but the work life is not always ideal. You are not alone. Even I struggle with thoracic spine and upper back limitations. These issues are not limited to people with long commutes and desk jobs. I often find myself with a tight upper back after a long day of treating athletes. The secret to mobilizing your thoracic spine lies in the breathing patterns you maintain throughout the day. Breathing into your chest creates a stress response in your nervous system and forces your body to hold on to additional stress. 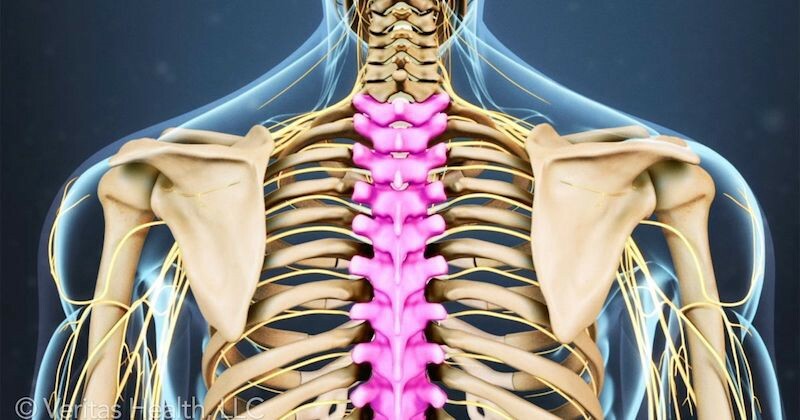 You guessed it, that stress is stored in your upper back and traps making your shoulders tight. Use these drills to bring your breath into your diaphragm, which will activate your deep core muscles, improve your posture, and develop a better shoulder position throughout the day. This will lead to a stronger overhead position throughout the entire overhead squatting range of motion. Your overhead squat will be better at night if you start your day with proper breathing and movement. Practicing proper breathing and shoulder specific mobility and stability drills will make every movement for the remainder of your day a healthy, corrective exercise.